GEORGE MUNIE. 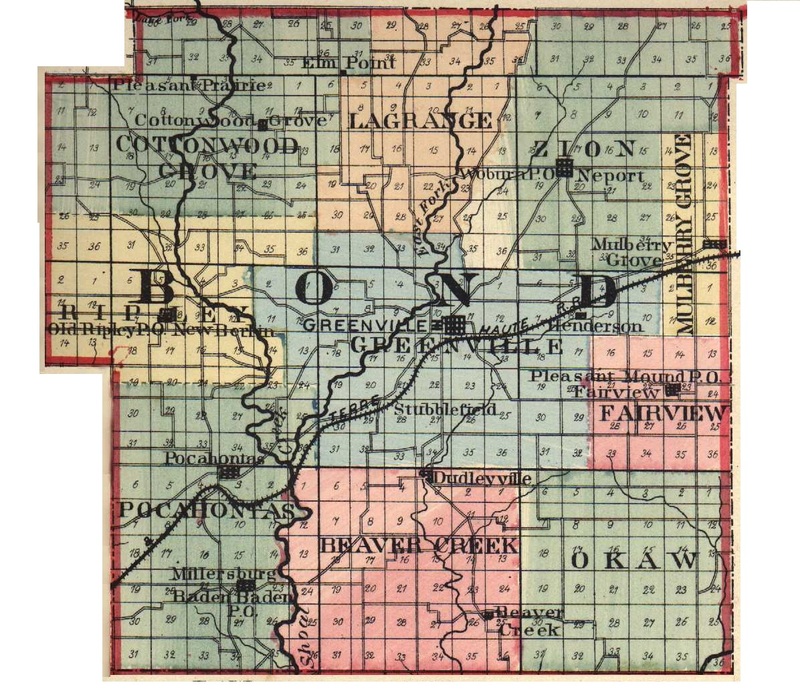 The farming community of Bond County has received a recent valuable addition in this gentleman, who in 1892 removed hither from St. Clair County and purchased a farm. In addition to general farming, he is considerably interested in stock-raising, in which he has met with more than usual success. A practical, energetic and persevering farmer, he uses modern methods of agriculture and the latest improved machinery, and his recently-purchased estate already gives indications of his skill and judgment. The province of Lorraine, then owned by France, but secured by Germany in the Franco-Prussian War, was the native place of our subject, and August 24, 1844, the date of his birth. His father, Paul Munie, was born in that province in 1800, and there grew to manhood, choosing as his wife a lady who was likewise born in Lorraine. In 1853, the family emigrated to the United States, and, after landing at New Orleans, came by boat up the Mississippi River to St. Louis, whence they proceeded to Illinois, and settled upon a farm in St. Clair Township, St. Clair County. There the father remained engaged in agricultural occupations until his death, which occurred April 17, 1866; his wife survived until 1881, passing away March 25 of that year. The following is recorded of the brothers and sisters of our subject: Magdalena married George Buchler and resided in St. Clair Township, St. Clair County; Hyacinth chose as his wife Miss Louise Adams, and they reside upon a farm near Freeburg in Smithton Township, St. Clair County; Joseph married Christina Germain, and is a well-to-do farmer residing in St. Clair Township; Mary Ann; George, the youngest child, was reared on his father's farm in St. Clair Township, and in his youth was a student in the common schools, later attending the Catholic schools in Belleville. The estimable lady who, on April 10, 1866, became the wife of Mr. Munie, was born April 17, 1848, and bore the maiden name of Adeline Tribout. She was one of six surviving children among the thirteen born to Bonaventura and Margaret (Fournie) Tribout, the former a farmer in St. Clair County until his death May 5, 1881, at the age of seventy-five. The mother lives on the old homestead two miles north of Belleville, and is in full possession of her mental faculties, notwithstanding her advanced age of seventy-eight. Eleven children have been born to Mr. and Mrs. Munie, who are named George J., Magdalena, Katherina, Rosa, Louis, Emily, John, Arthur, Victor, Lawrence and Edmond. Katherina died at the age of eighteen years; Rosa, when six; Louis at four, and Emily in infancy. The others reside under the parental roof, and are gaining good educations in the schools of the county. Mr. Munie removed to Hot Springs, Ark., having sold his farm in St. Clair Township, and for several months engaged in the wholesale produce business. He was not satisfied with that State, however, and soon returned to his former place of residence, where for about two years he was proprietor of an hotel in Belleville. He then bought back his old homestead in St. Clair County and resided there until 1892, when, realizing that it was too small to give employment to himself and sons, he sold it and bought the above-mentioned estate in Bond County. He is independent in politics and is a man of decided beliefs and force of will. He finds his religious home in the Catholic Church, in which faith he was reared, and to which he has ever been devoted. Extracted 21 Dec 2016 by Norma Hass from 1892 Portrait and Biographical Record of Montgomery and Bond Counties, Illinois, pages 509-510.